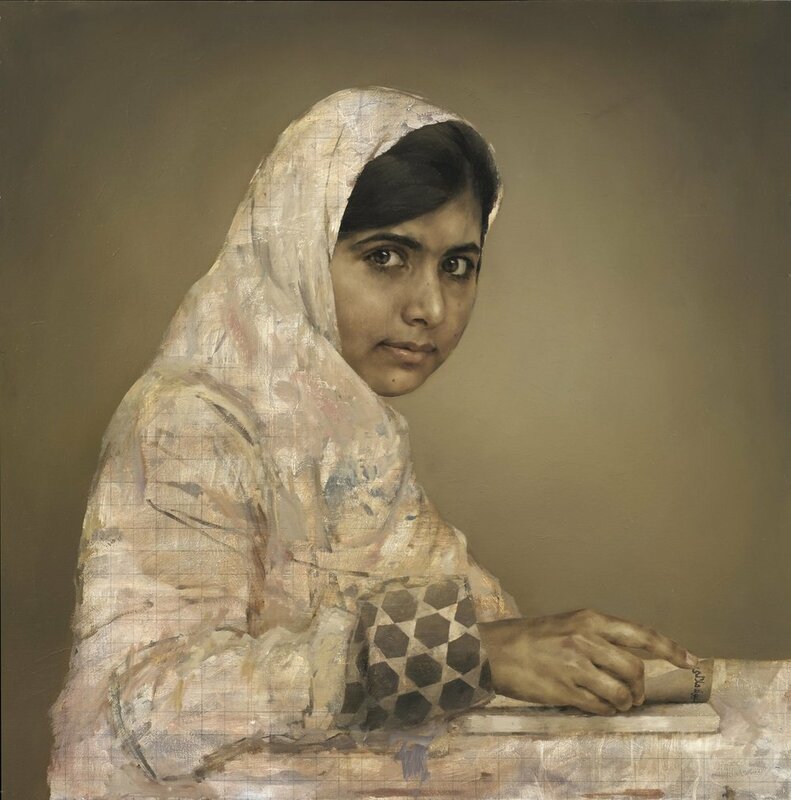 Jonathan Yeo (b. London, 18 December 1970) is one of the world’s leading figurative artists. He has painted and worked with iconic and celebrated figures including Sir David Attenborough, peace activist Malala Yousafzai, actors Dennis Hopper, Nicole Kidman and Idris Elba, artists Damien Hirst and Grayson Perry, supermodel and actor Cara Delevingne, Baroness Doreen Lawrence, former Prime Minister Tony Blair, and has produced official commissions of HRH The Duke of Edinburgh and HRH The Duchess of Cornwall. His work has been exhibited widely in museums and galleries around the world and has been the subject of several major mid-career retrospectives in the UK and internationally. Entirely self-taught, Yeo rose to prominence as a figurative painter by the age of thirty following several major official commissions, such as that of the former British Prime Minister Tony Blair, at a time when painting generally, and portraiture in particular, had fallen out of fashion. His collage of George Bush in 2007, however, earned his reputation as someone known for both traditional and experimental portraiture. Along with his Collage Series, Yeo has explored more conceptual themes in his series of paintings looking at cosmetic surgery and increasingly his portraits are addressing wider concepts and themes within the paintings’ narrative. His 2013 first mid-career retrospective at the National Portrait Gallery in London was acclaimed by the critics and public alike, and was accompanied by a major monograph and a BBC1 Culture Show special. The exhibition then toured in 2014 to the Lowry in Salford and the Laing Art Gallery in Newcastle-Upon-Tyne. In 2016 he collaborated with Smithsonian National Portrait Gallery in Washington DC, where he unveiled a portrait of Kevin Spacey in his role as President Underwood, from the Netflix series House of Cards. Later that year he had his largest retrospective to date at The Museum of National History at Frederiksborg, in Denmark. In early 2016 Yeo began experimenting with 3-D printing and scanning in order to make self-portraits and has also been working with various tech companies to help develop ground-breaking virtual reality drawing software. In December 2017 he unveiled his first ever large-scale sculptural work, made using an innovative combination of these new processes at London's Royal Academy of Arts. The first ever institutional solo show of Yeo's Surgery Series opened early 2018 at the Bowes Museum in County Durham.